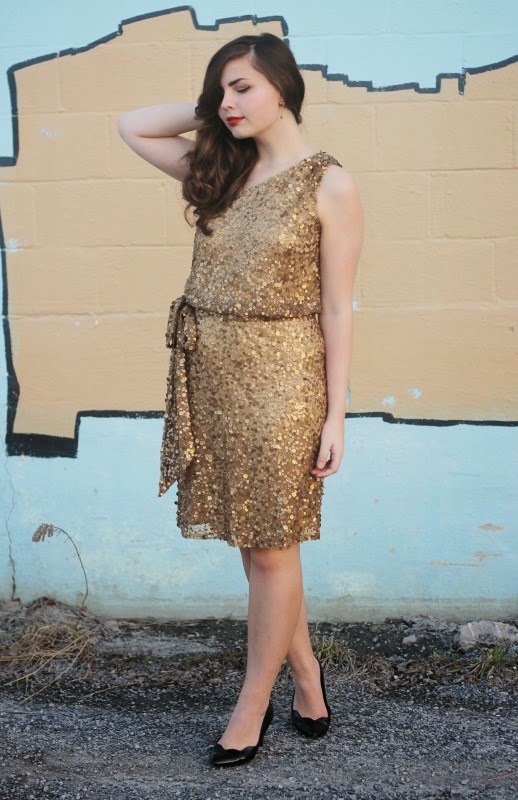 Sequin Gold Dress: c/o Faviana. I'm back from Pennsylvania and officially on my spring break here in Ohio! But here's a little flash back to Saturday night for what I wore for Hannah's birthday party. Hannah, Laura (of Thrifting Through Life; it was so wonderful to meet her!) and I got ready for a few hours before the party which was something I've forever wanted to do, strangely enough. 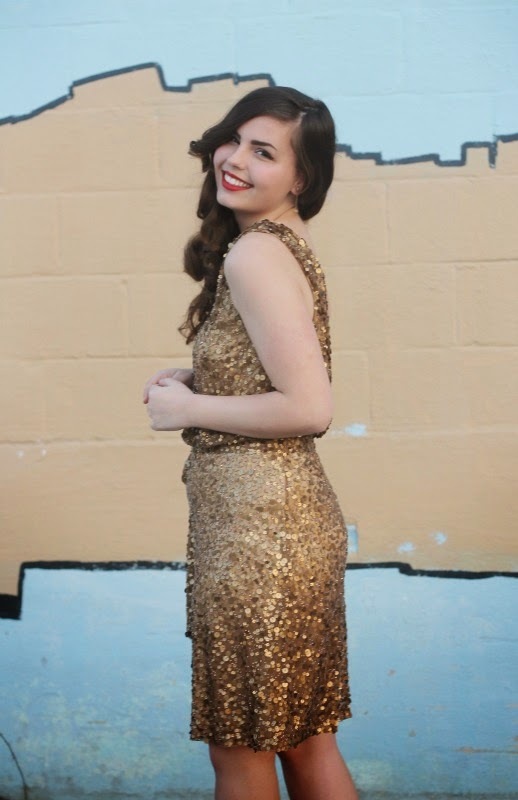 I always got ready by myself for all of my proms and homecomings in high school and missed out on that 'girl bonding experience', so it was awesome to be able to get to do that still! This is the first time I've worn this dress just by itself; the last time for my fall swing dance party in November with a skirt over it. It's such a special piece to have in my wardrobe! You look so old Hollywood glam! I love it! 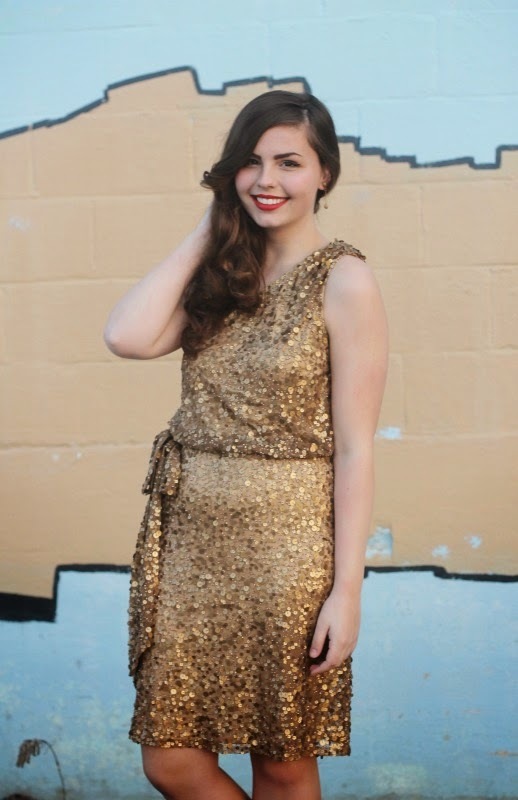 I love the gold dress with the red lip! Such a gorgeous look! 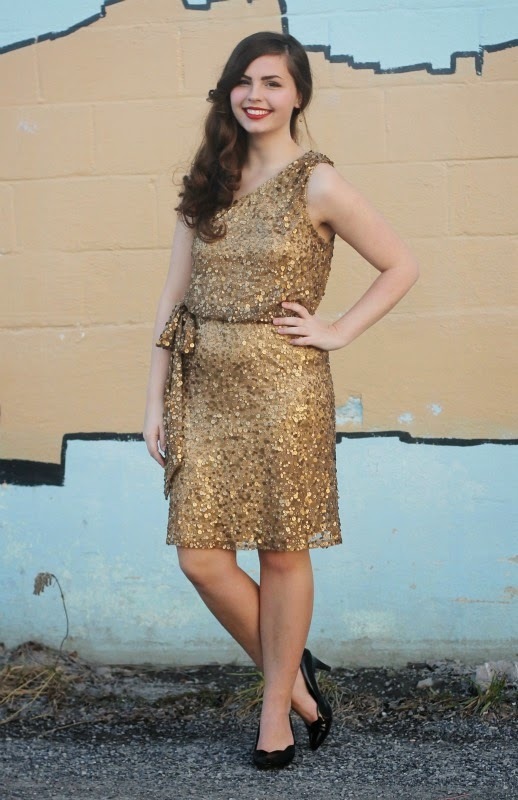 This sequined dress is super pretty. You look so glamorous! How lovely to meet Laura!!! She's the one with that red hat, right? You look absolutely gorgeous! Hope you had a great time! Aww that sounds so fun! I've always gotten ready solo too but imagine it would be fun to do it with other girls! This dress really is gorgeous, cant wait to see pics of the party! 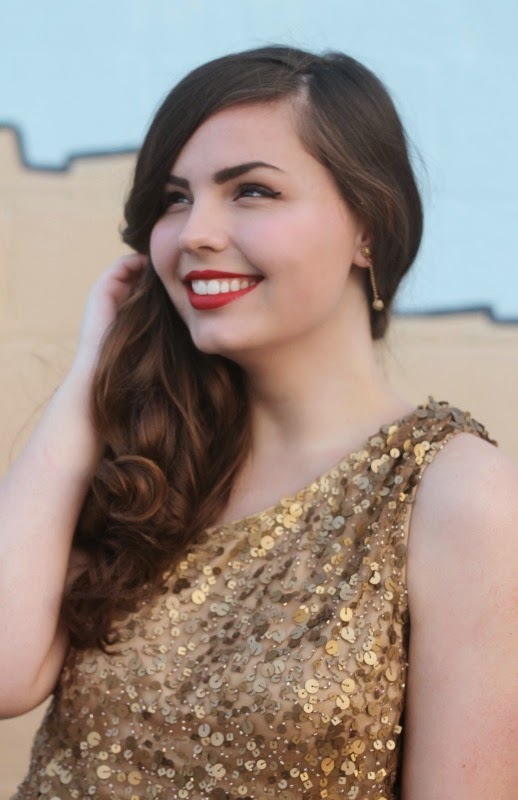 I just love how retro and pretty your hair and makeup is - you look stunning. You look so pretty in this dress and I love your shoes! You look absolutely stunning in this dress! 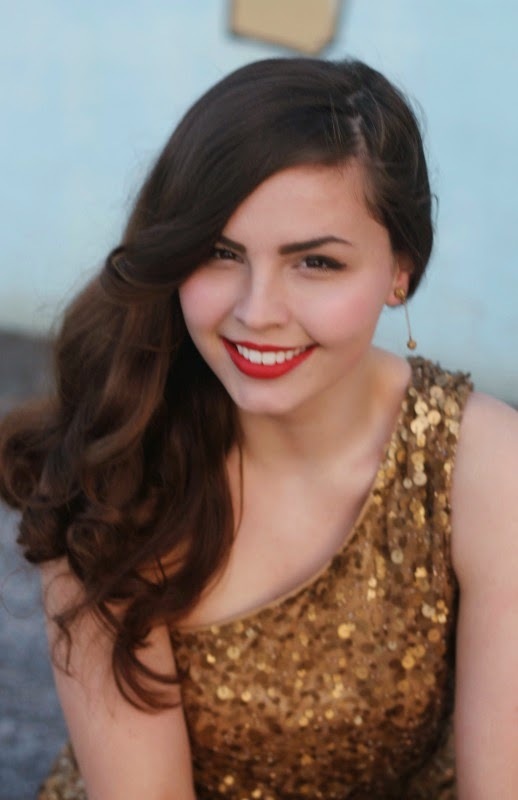 I love red lipstick on you..perfect!